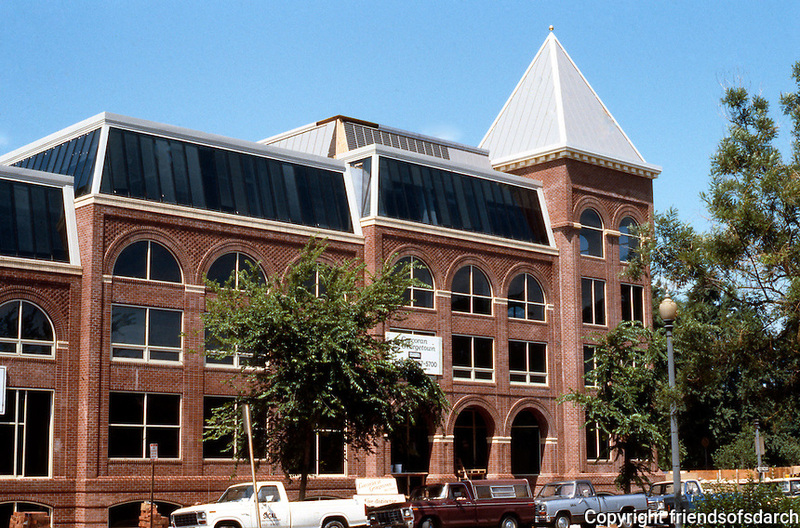 D.C.: Georgetown--New (1985) commercial building, M St. NW. Post-Modern Historicism--form of a Victorian brewery. Photo '85.